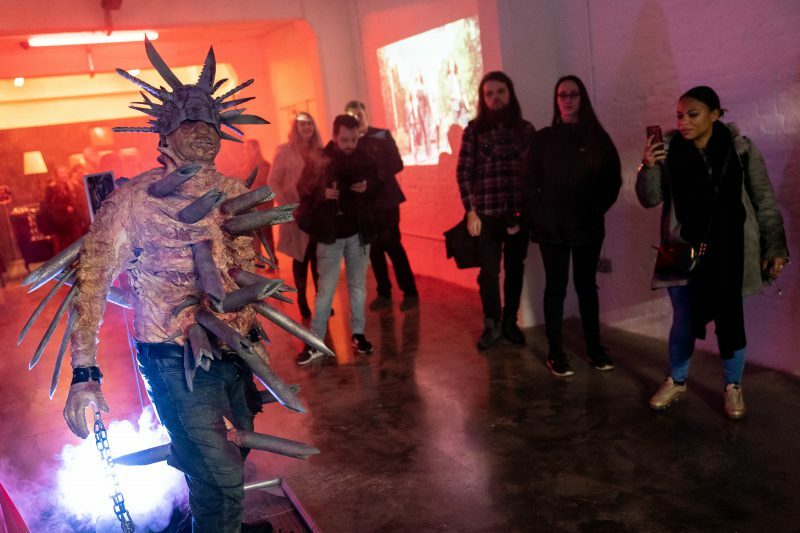 The Walking Dead: Art Apocalypse has opened its doors to fans, art lovers and zombies, as actors in gory prosthetics swarmed the entrance of the unique new art exhibition despite the familiar warning DON’T OPEN: DEAD INSIDE. 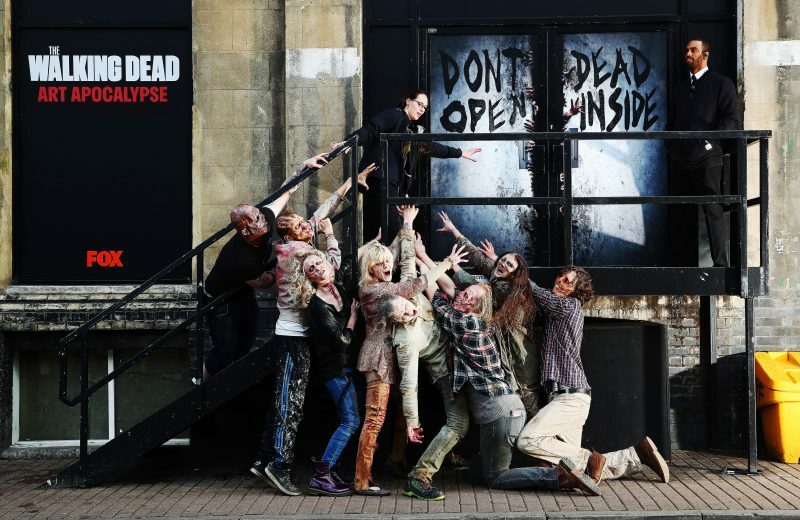 The new breed of art exhibition in London’s East End brings to life the legacy of one of the most popular shows of all time, FOX’s The Walking Dead, and celebrates its return to screens on Monday at 9pm on FOX. For two days only the free exhibition is giving fans the chance to immerse themselves in interactive sets and prop replicas, prize-winning fan art, thrilling audio-visual displays and live installations not for the faint of heart. Celebrities attending the launch night included Made in Chelsea’s Ashley James, Dancing On Ice’s Vanessa Bauer, Love Islanders Marcel Somerville and Eyal Booker and magician Damien O’Brien. It has been eight years since the cult series kicked off in October 2010, with more memorable and shocking moments than you can shake a blood-stained baseball bat at providing a wealth of inspiration for Art Apocalypse, with all work on display created by dedicated fans of the show. Greg Nicotero, Executive Producer, Director and Special FX Make-Up Designer on The Walking Dead, was among the panel judging the fan art contest, helping select the finalists on display in the gallery. “Even after ten years I’m still blown away by the response we get from the fans of The Walking Dead and it’s been incredible seeing them respond to the show in such creative, passionate and emotional ways,” said Nicotero. “The imagination and artistic expression that went into the many entries was beyond impressive and it’s a real tribute to the legacy of the show, which is really down to the fans. 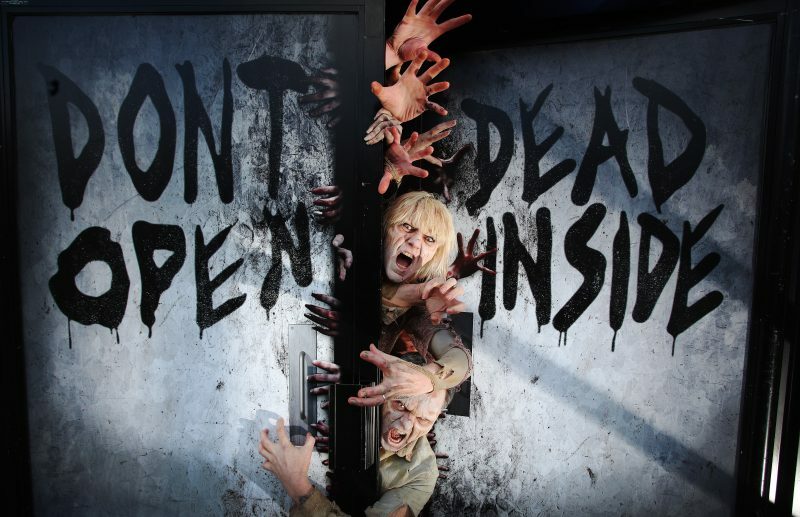 Interactive displays include a recreation of the infamous room inhabited by The Governor (David Morrissey) where gore-lovers can submerge their own head into the display among decapitated walkers, a replica of the motorbike ridden by Daryl (Norman Reedus) and live walkers recreating favourite scenes including the escape from Terminus, Winslow and the most gut-wrenching walker kills. 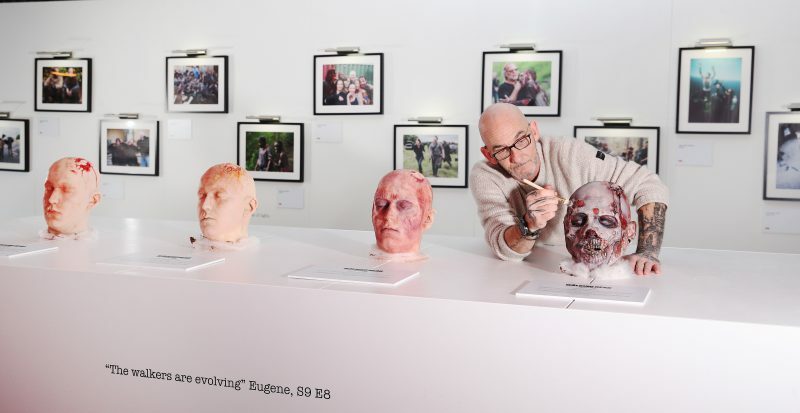 The Walking Dead: Art Apocalypse also features daily SFX and prosthetics displays, deconstructing the incredible make-up process that has characterised the visual identity of the show. 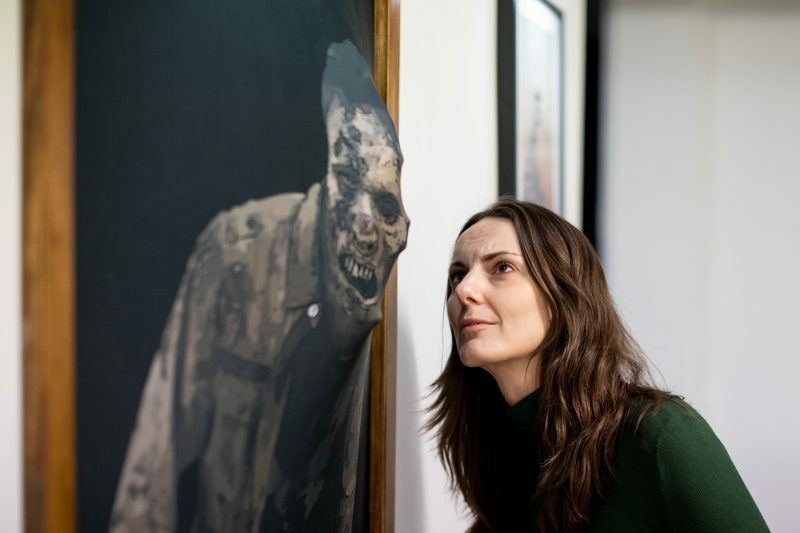 Here, horror fans can see how the iconic walker look is created in painstaking detail over three hours, as well as the chance for visitors to experience their own walker ‘make-under’. There are also key behind the scenes shots from filming over the last eight years, showing the cast and crew bringing the world of The Walking Dead to life. The second half of season 9, returning to FOX on Monday at 9pm, finds our groups of survivors, both old and new, continuing to deal with the impact of events that took place during the six years that have passed. Since the disappearance of Rick, many of these characters have become strangers to each other, and in some ways, strangers to themselves. What they do know is that they are in undeniable danger. 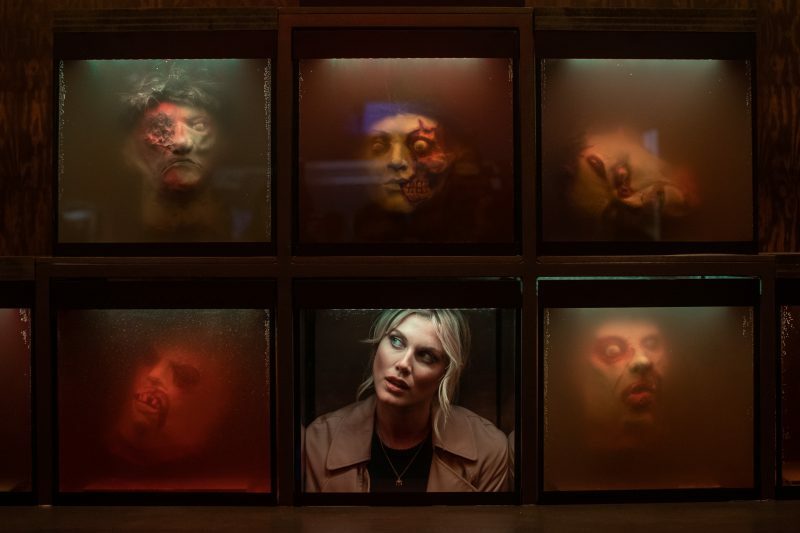 The Walking Dead: Art Apocalypse is at the G4 pop up space in Truman Brewery in East London, and opens today with a private VIP launch. Following this, the gallery will open its doors to fans for a limited run on Friday 8th February 12 – 7pm and Saturday 9th February 10am – 5pm to the public.